Change can be scary. But when you bring together a bunch of people who are committed to serving members and tackling new challenges, it’s amazing what can happen. 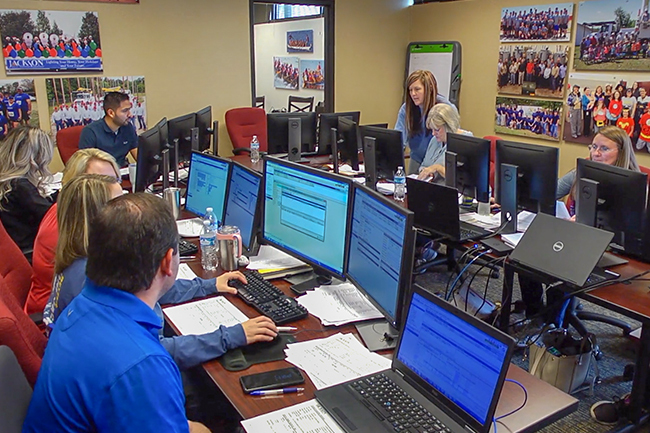 Last month, Jackson EMC, headquartered in Jefferson, Ga., went live on NISC software. It was a true group effort, with over 60 Jackson employees giving up their weekend to make the switch over to the NISC enterprise system. NISC employees were also on hand to help, ensuring systems were up and running for business on Monday morning. “The launch of NISC is going to bring so many improvements both in the way we operate and the way we connect with members,” said Chip Jakins, Jackson EMC president and CEO. “Our members will be able to get engaged with us like never before with the My Jackson EMC app. It’s really going to open their eyes to Jackson EMC in a new way and show how connected we are as a company and how far we’ve moved in one giant leap with the implementation of this software.” Check out this awesome “Go Live Weekend” video, put together by Jackson EMC, showing all that went into the implementation! View the video by clicking the link below. With the recent launch of our advertising campaign, Membership Amplified — which is focused on providing quality solutions and software along with a dedicated partnership — we decided it was time to upgrade our trade show booth to better reflect that theme as well as NISC’s growth. Our new booth was unveiled at this year’s NTCA RTIME Expo in New Orleans as well as NRECA’s TechAdvantage Expo in Orlando. Featuring an open and inviting floorplan, ample space for product demos and comfortable seating, the booth provided a great space for NISC staff, Members and potential members to collaborate and share ideas. 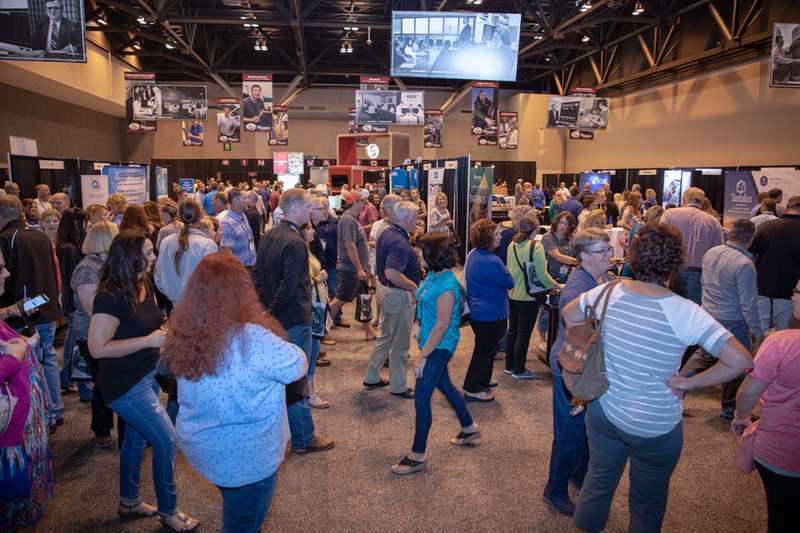 “We’ve heard great compliments from our Members saying it’s a much more relaxing and inviting environment for them to come into the booth, sit down and have one-on-one conversations with NISC staff,” said Sarah Thorowgood CMP, senior meeting planner for NISC. The booth also features the same branding and green color scheme as our Membership Amplified campaign, a drastic difference from our normal red. “Membership Amplified is our new marketing theme for this year and we really wanted to pull that into the booth,” said Thorowgood. “Green is a far step from our regular NISC red, but it offers a fresh look and it stands out really well in the Expo hall.” Learn more about Membership Amplified at www.membershipamplified.coop! #ShareYourNISCStory at the 2019 MIC! One of the best things about being a cooperative is the shared spirit of teamwork and collaboration. At NISC, we know that our Members are our partners and that together, we can do much more than could ever be accomplished alone. We also know that in designing and creating software solutions, our Members’ feedback and advice is critical. We’re constantly amazed by how our Members are using NISC solutions in ways we had never imagined and are making a difference in the daily work processes of their coworkers and in the lives of their end users. How do you use NISC solutions? Have you overcome challenges at your organization and improved efficiencies? We want you to #ShareYourNISCStory! Presentation proposals for the 2019 NISC Member Information Conference (MIC) September 24-26 in St. Louis are now being accepted! Share your story with MIC attendees and help other colleagues and organizations across the country learn how to best utilize NISC software. If your presentation topic is chosen, you will receive $250 off your MIC registration fee as well as a gift. In addition, 2019 will mark our fifth-straight year of awarding MIC Member Experience Awards! During the MIC Closing Session on day three, the highest rated Member-led sessions, based on feedback from attendees in the MIC app, will be awarded a Member Experience Award as well as a special prize and a customized award. The deadline to submit topic ideas is April 15. Submit your presentation today and #ShareYourNISCStory at NISC’s largest learning event of the year! By Mary Miller| 2019-04-09T15:45:21-05:00	March 22nd, 2019|Blog|Comments Off on #ShareYourNISCStory at the 2019 MIC! At NISC, we don’t just serve customers. We develop solutions, provide support and improve the daily lives of our Members. Unlike most companies today, the needs of our Members are placed in top regard and help drive us to always be one step ahead when it comes to technology. Being a Member of NISC is about partnership. Before we write any code or develop any solutions, we first listen to our Members. We involve them in the conversation to ensure we understand the issues facing our industries, and deliver products and services to address those issues so we can move forward together. And when our Members become a part of our family, it doesn’t end there. Our mission is to always be the technology partner of choice. What sets us apart from our competitors are the valuable components that encompass Membership with NISC: Annual Member Information Conference Member Advisory Committees Online Community Dedicated Regional Business Managers Enhanced, Award-Winning Support Enterprise Solutions Training & Education Solutions Developed In-House Commitment to Shared Values Together with our Members, we go far beyond technology. This is NISC. This is Membership, amplified. Learn more at www.MembershipAmplified.coop. Learning a new tool or software can be challenging, but that’s why NISC is committed to not only providing our Members with new solutions, but also the support and resources necessary to use them to their full advantage. Bonnie Myers of San Isabel Electric Association in Pueblo West, Colo., was grateful for the help that came with deploying NISC’s iVUE® Mosaic this past year. As we reflect this Thanksgiving on the many opportunities and successes over the past year, we can’t help but feel an immense sense of gratitude to you – our Members, employees and partners – for your unwavering trust and continued partnership with us. It’s been a wonderful year celebrating 50 years of innovation and service, and we feel so fortunate to have shared in the celebration with the many people who contributed to this milestone. When you think about a 50-year-old technology company, not many come to mind. NISC has had the good fortune to be a longstanding leader in our industry, providing our Members much-needed solutions and services, while continuing to grow on a national level. Despite our growth, NISC remains committed to remembering our roots – the people, processes and challenges that have brought us where we are today. And above all, we’re committed to doing the right thing … always. As we share what we’re most grateful for this Thanksgiving, the answer is the same as it’s always been: We’re grateful to you for allowing us to be your technology partner for the past 50 years. From all of us at NISC, Happy Thanksgiving to you and yours! Here’s to the next 50.